Pickup from Bangalore airport/ Railway Station and transfer to Mysore approx. 140 Kms – 3 Hrs. Evening visit the Brindavan garden to witness the musical fountain show. Overnight at the hotel. Morning you go for a half-day excursion of Coonor. 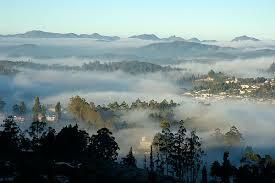 Visit the local sights in Coonor & the Tea Gardens. 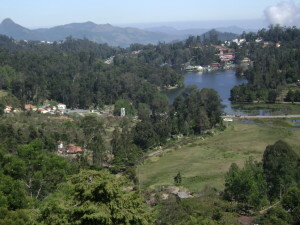 Later in the afternoon visit Ooty Lake, Dodabetta Peak. Evening will be at your leisure. Overnight at the hotel. Morning depart for Bandipur. 95 Kms – 2 Hrs. Sightseeing in Bandipur reserve. Evening leave for Mysore. Night in Mysore. After morning jungle safari leave for Bangalore approx. 140 Kms – 3 Hrs. Check in at the hotel. Afternoon depart for local sightseeing of Bangalore visiting the Cubon Park, Lalbaug, Bull Temple, Vidhan Soudha & High Court, Evening will be at your leisure. Overnight at the hotel. Morning drop at Railway Station or airport for onward travel.